American Services provides home owners and commercial clients with skilled, on-time, and cost effective electrical service in the Greater Houston Metropolitan area. Our team of Licensed Master Electricians will be glad to listen to your comments regarding new electrical installation, maintenance, repair or moving existing electrical circuits, and offer practical solutions. 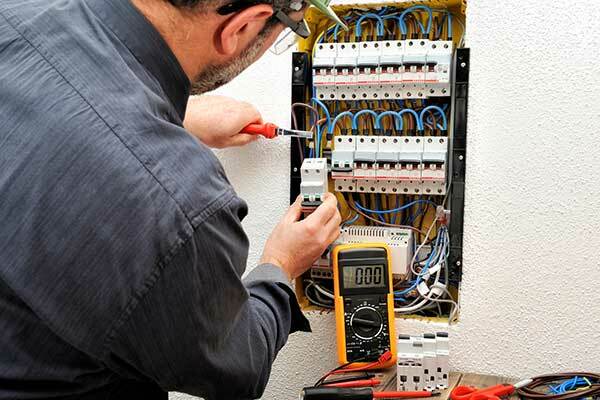 Our Licensed Master Electricians provide Commercial Electrical Services for all new electrical installation, maintenance, repair or moving existing electrical circuits, and offer practical solutions. Our Licensed Master Electricians provide Residential Electrical Services for all new electrical installation, maintenance, repair or moving existing electrical circuits, and offer practical solutions. Residential and commercial electrical work should only be trusted to a certified, experienced expert. Subpar electrical work often produces serious fire and shock risks and may reduce the life of any installed components. That makes finding a reputable electrician imperative for keeping the home or business, and its inhabitants safe. 1. Educational and work history – Electricians have to learn a lot of concepts before they are ready to handle any job, residential or commercial. 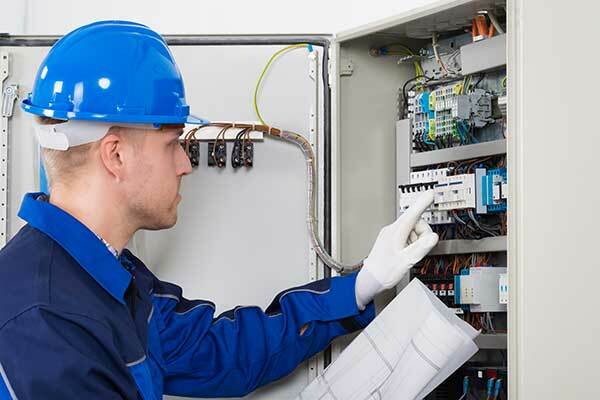 They must know how to install, repair and maintain a variety of electrical components, including lighting, wiring, distribution equipment and control systems. They must know and follow the National Electrical code, in addition to any local and state regulations. Electricians must be able to read technical documentation and construction blueprints in order to create electrical plans. Finally, they must be able to inspect and test various electrical components and systems using special technologies. It will take years of learning and practice to get everything down, which is why property owners should first consider experience when selecting an electrician. The typical career path for an electrician is to move from apprentice, to journeyman, to master electrician. An apprentice works under the guidance of a master and must obtain at least 8,000 hours of on-the-job work and training before they can attain journeyman status. At this point, a journeyman must hold their license for two years and acquire another 4,000 hours of on-the-job training with the help of a master electrician. A journeyman can only become a master electrician after meeting the hourly requirements and passing the exam. Master electricians can be trusted to manage most residential or commercial projects, though journeyman electricians are experienced enough to install most electrical systems and components. Experience should be the first thing you consider. American Services’ electricians are masters in their field, so they are prepared for anything that might arise on a residential or commercial job site. 2. A focus on neatness – Ideally, you should have examples of the electrician’s previous work, even if it’s just photos. Even someone who doesn’t know the first thing about electricity can learn a lot about an electrician by looking at their work. It is essential that electricians work neatly. This isn’t just for professional appearances, but is a matter of safety. Neatly organized wiring and properly installed electrical components are going to perform better and be safe. Even among electricians, neatness is considered a virtue. If you have visual examples to go by, pay close attention to where the building’s wiring and conduit come together, such as a service panel. Is everything organized, clean and free of debris? That’s professional work there, and safe work too. Are there visible signs of corrosion, leaks or lengths of wiring just lying around? That’s a safety hazard, and not satisfactory for your job. 3. A problem solver – Electrician work is some of the most mentally demanding in the building construction and maintenance industry. Electrical work in both commercial and residential buildings, often involve challenges that emerge suddenly. During a new construction project, for example, the location of electrical outlets may change. An electrician must be able to adapt to changing work conditions and solve problems as they occur. 4. Transparency and professionalism – Professionalism is important in any industry. Electricians working in a new construction setting must effectively communicate and cooperate with other members of the construction team to ensure their work can be done efficiently. Both residential and commercial electricians should present themselves in proper uniform and should be willing to communicate with the client from the outset. If asked, the electrician should be able to answer any question about the project, and be willing to show the client their work. If an electrician is reluctant to do either, they may not take other parts of the job – parts that have significant safely concerns – seriously, either. American Services can perform these tasks for both residential and commercial clients and do so with the level of professionalism and expertise you should demand from an electrician.